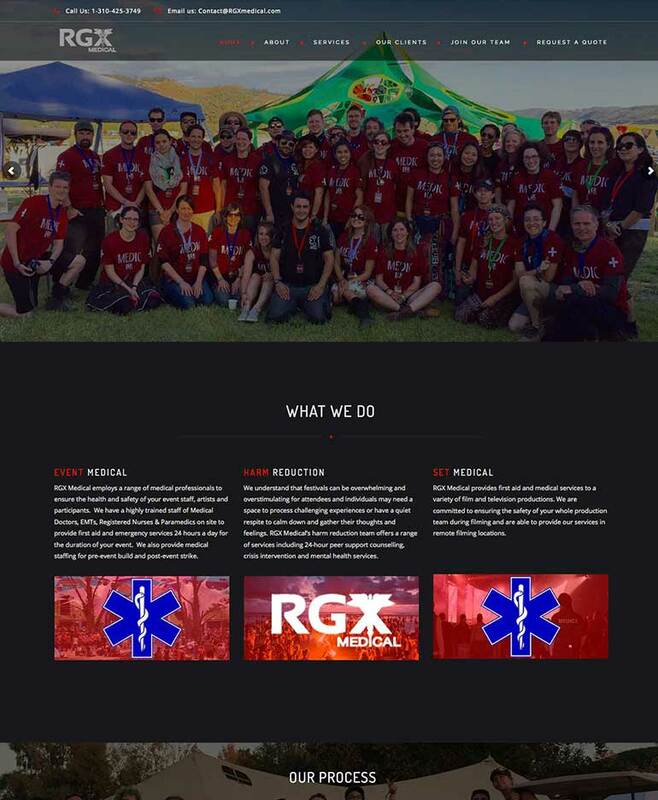 RGX Medical has been providing comprehensive medical services to events, film sets and transformational festivals since 2009. Since our inception, we have provided exceptional care to over 200 events, throughout the United States, Mexico and Costa Rica. CodeMedia 360 assessed the client’s needs and chose a template that kept the same feel as their old Squarespace site. We transferred all the data and coded a beautiful WordPress website.